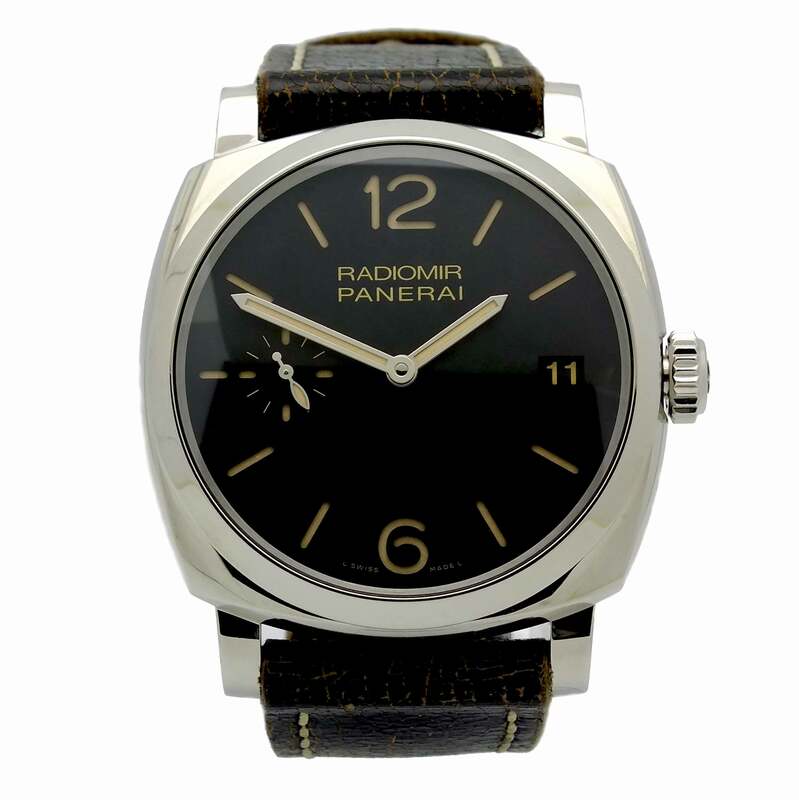 Panerai Radiomir PAM514 in stainless steel with manual winding movement and 3 days power reserve. 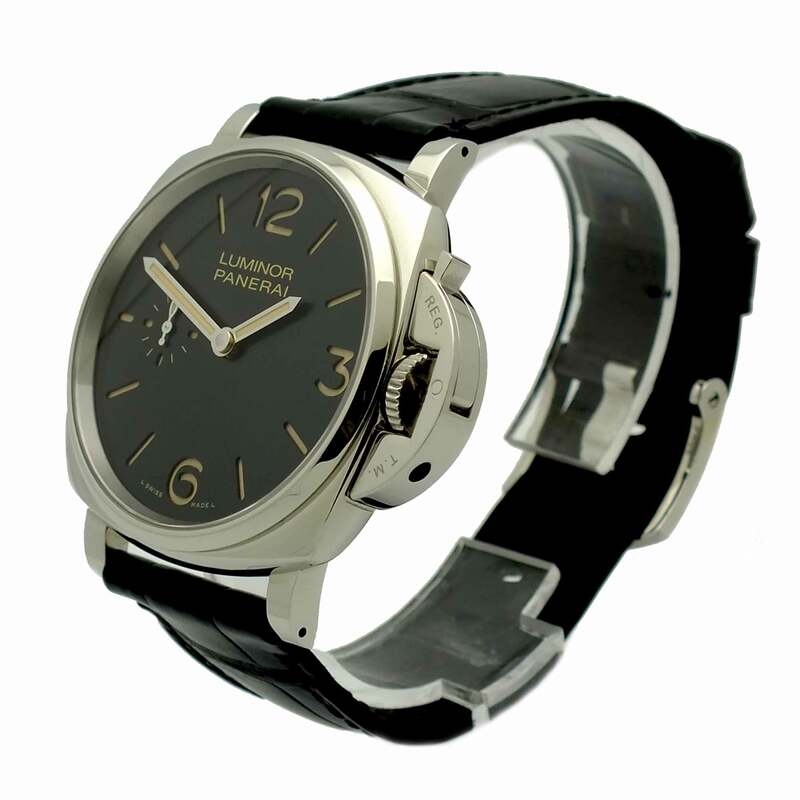 Black dial with index and Arabic numeral hour markers. 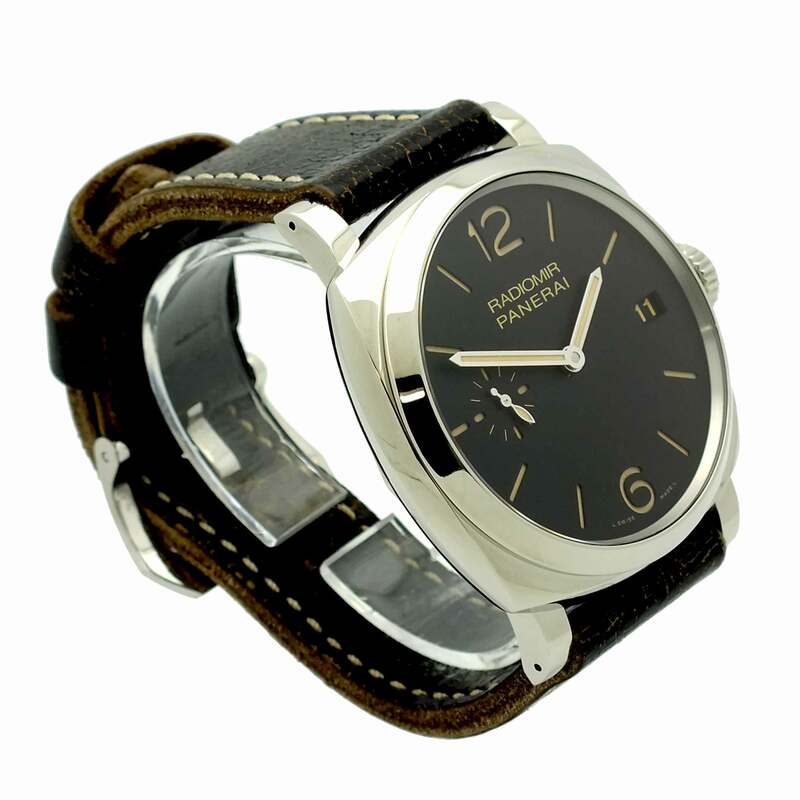 Dark brown leather strap. 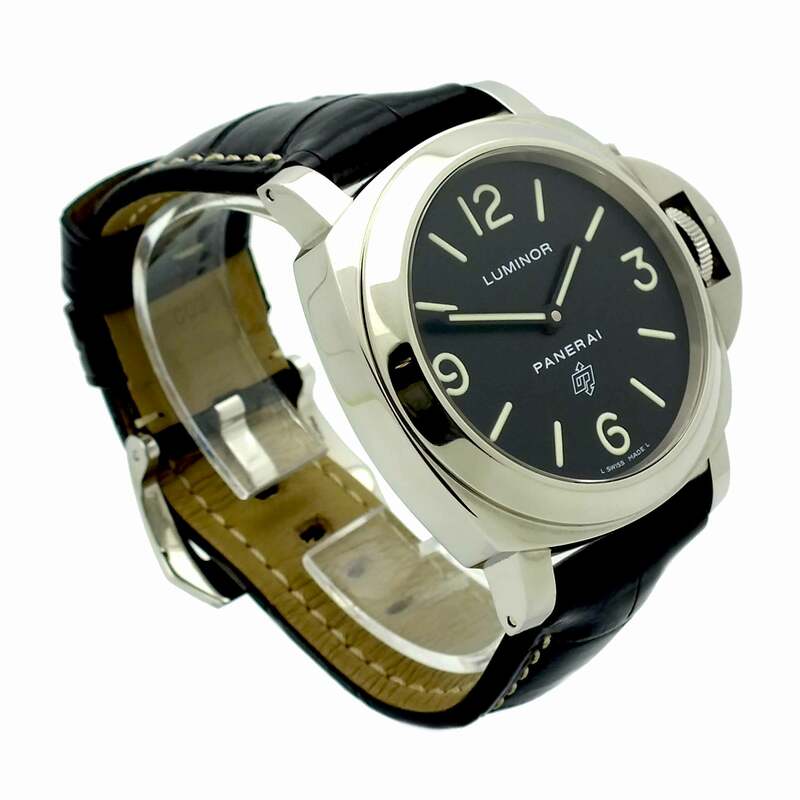 Panerai Luminor Due 3 Days PAM676 in stainless steel with transparent case back. 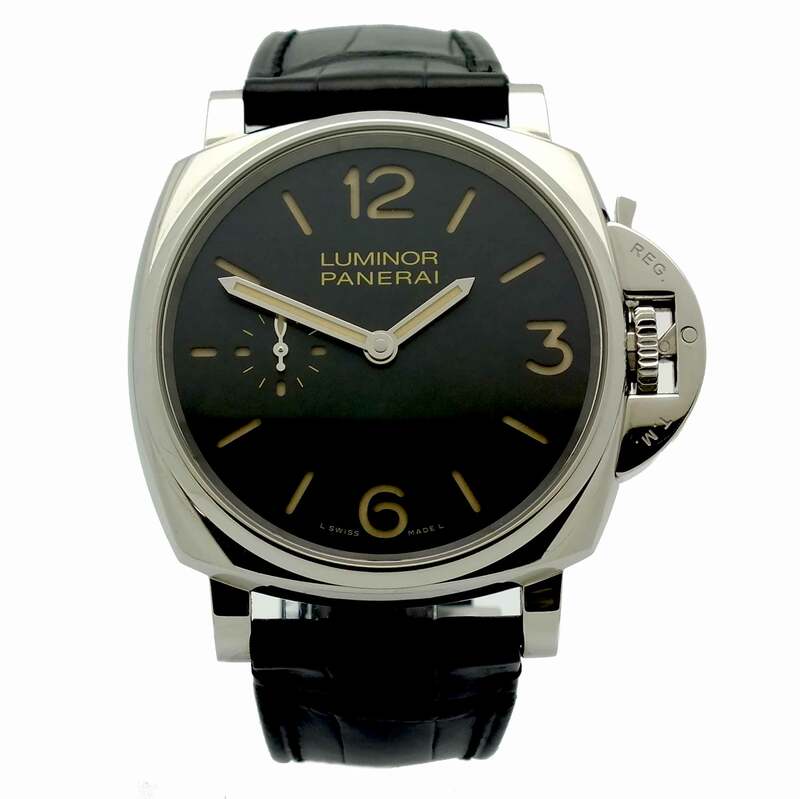 Black dial with index and Arabic numeral hour markers. 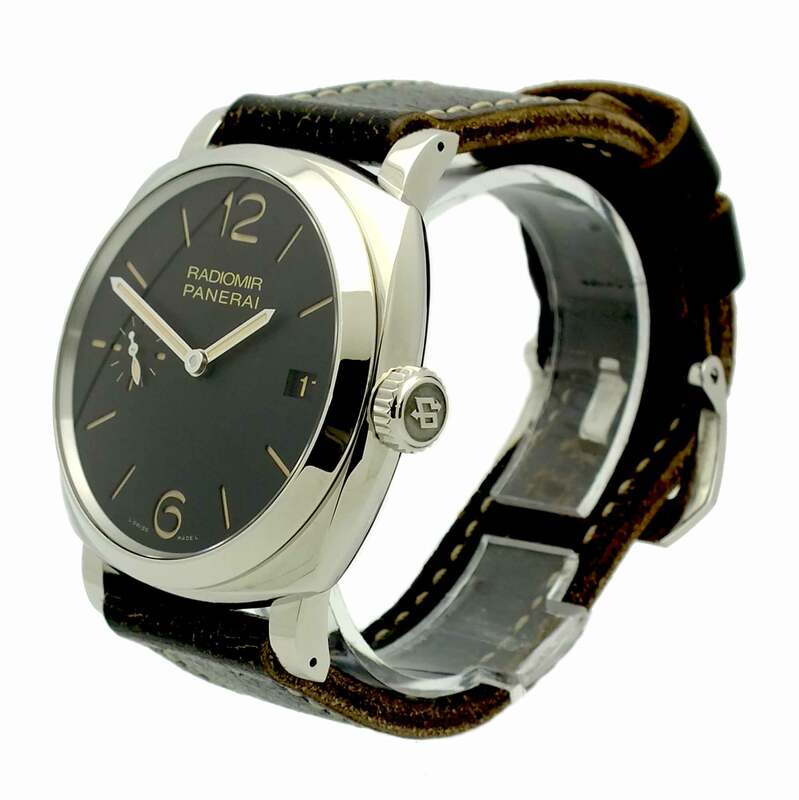 Black leather strap. 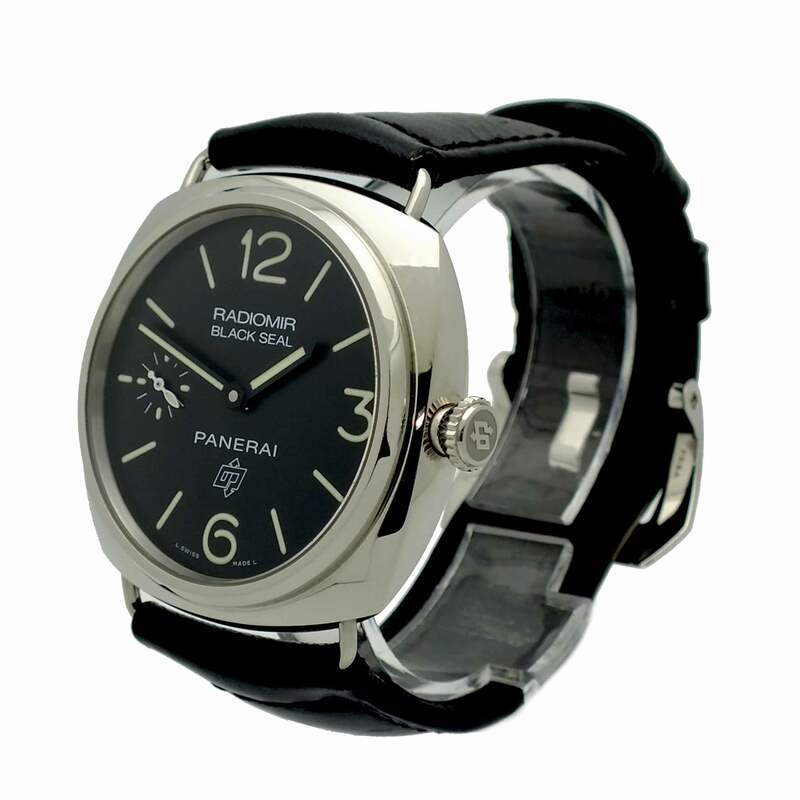 Panerai Radiomir Black Seal PAM380 in stainless steel. 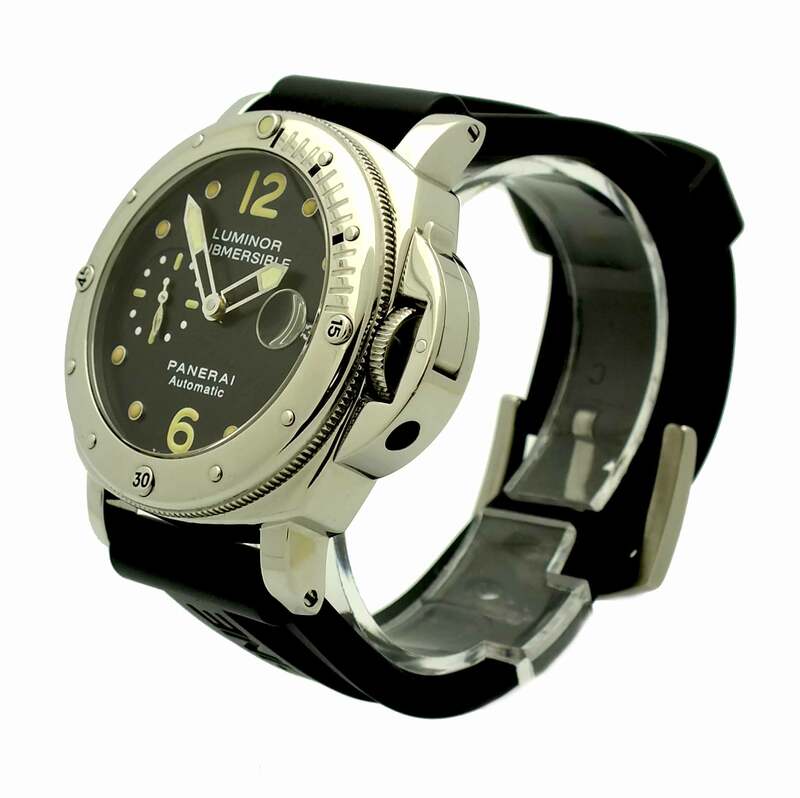 Black dial with index and Arabic numeral hour markers. 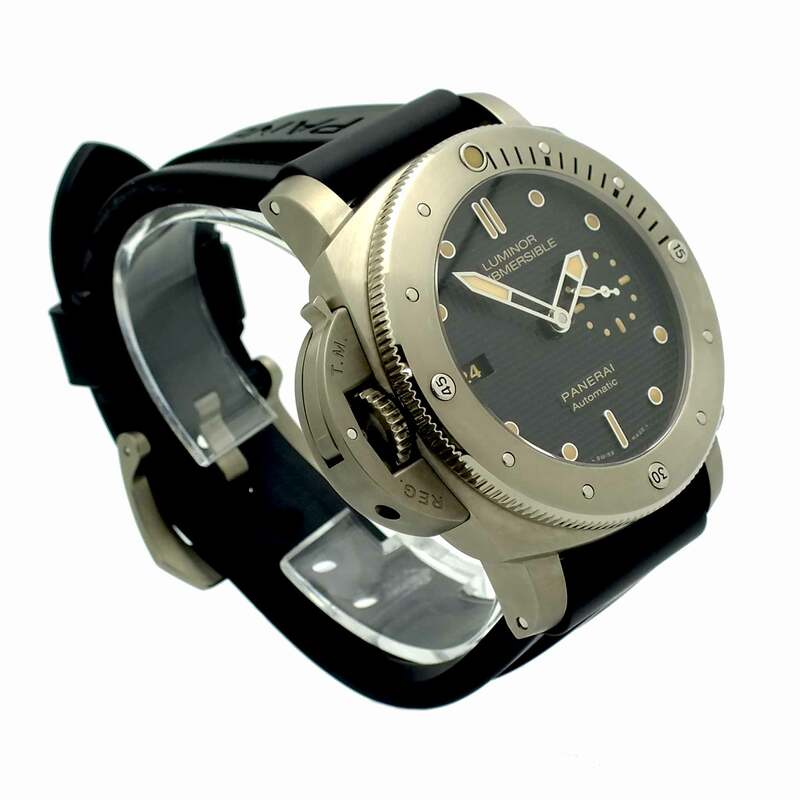 Black leather strap. 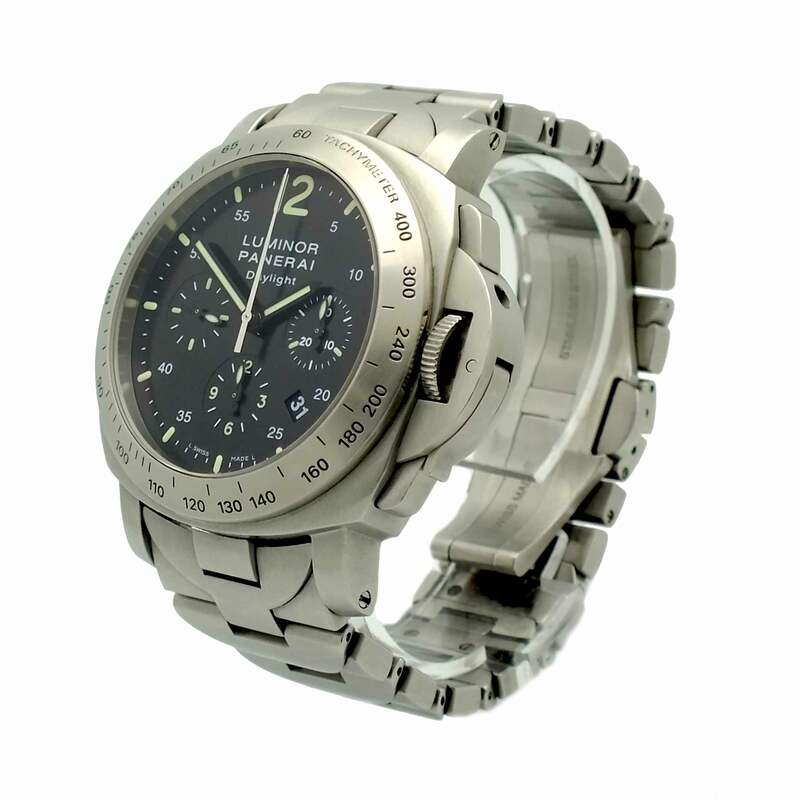 Panerai Luminor Chronograph Daylight PAM236 in stainless steel. 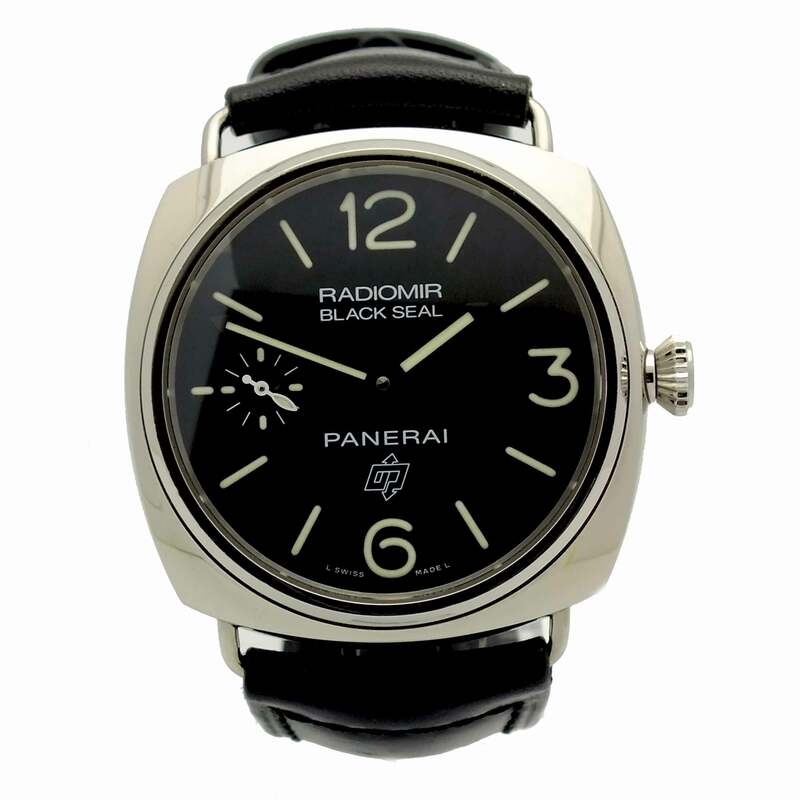 Black dial with index hour markers. 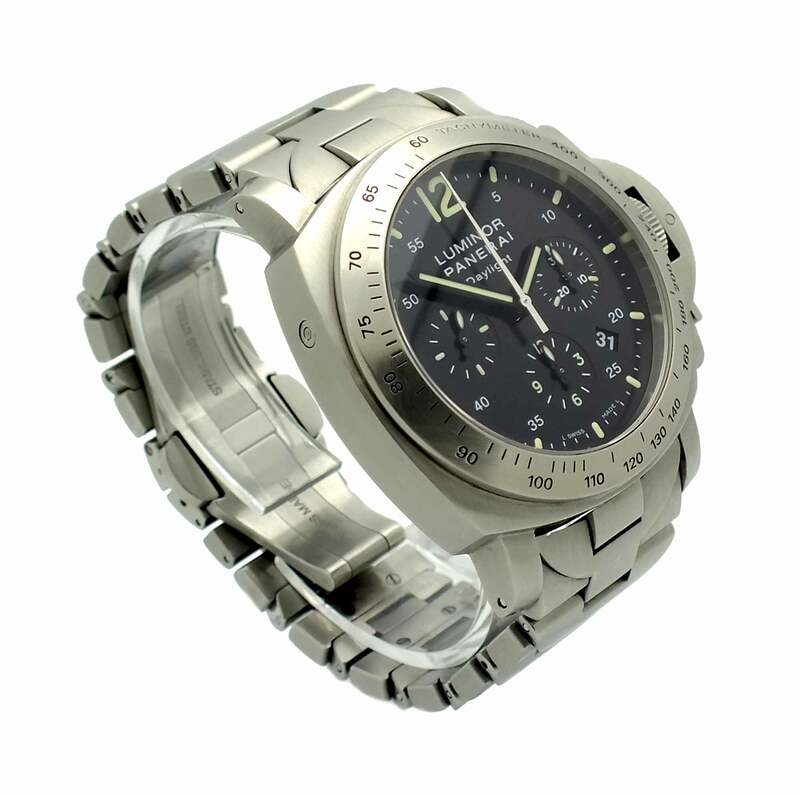 Stainless steel bracelet with folding buckle. 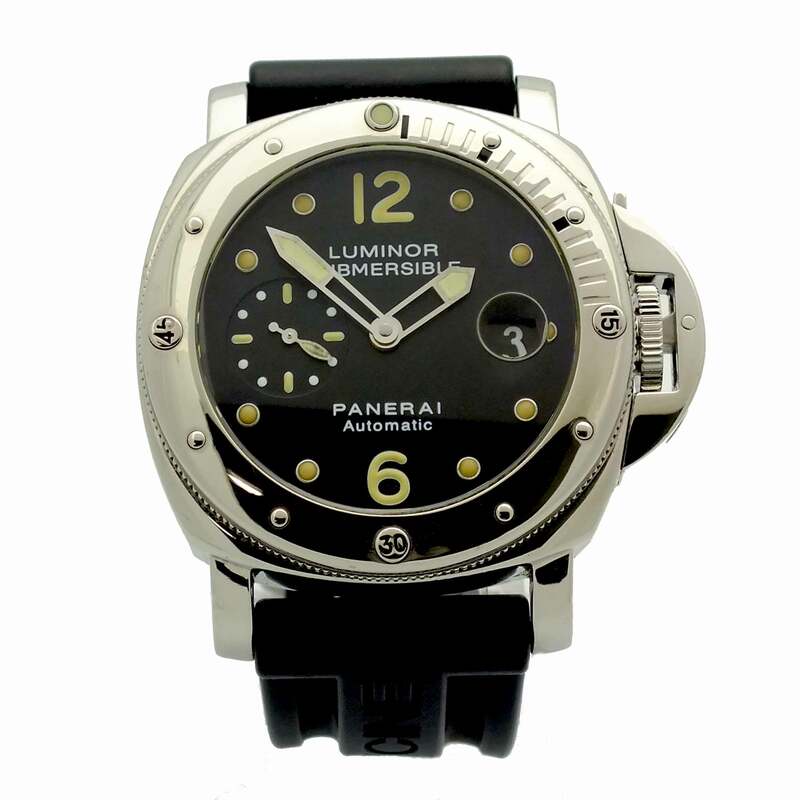 Panerai Luminor Submersible PAM569 in titanium. 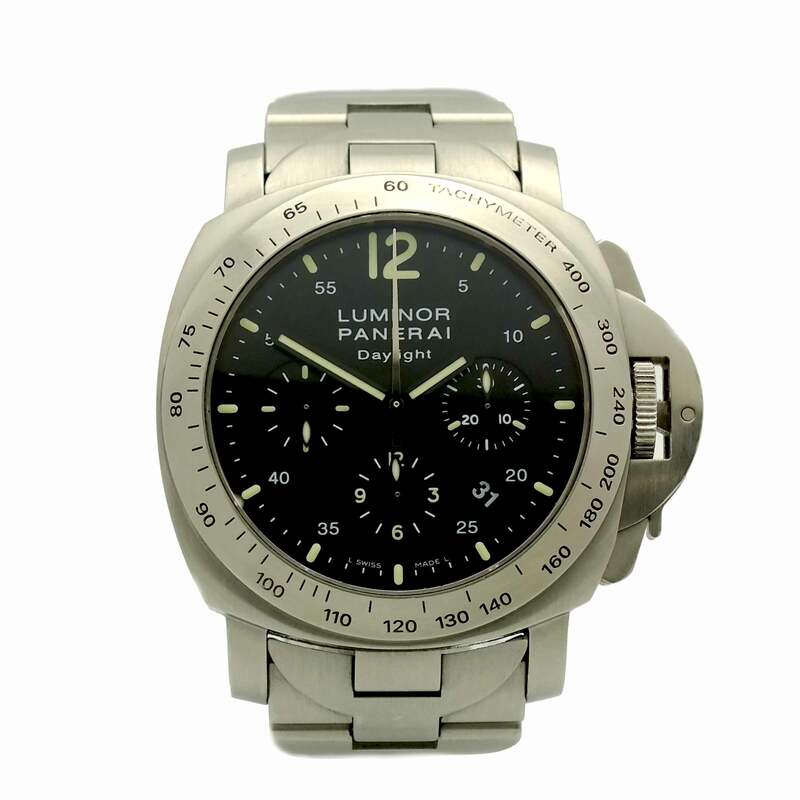 Black dial with dot and index hour markers. 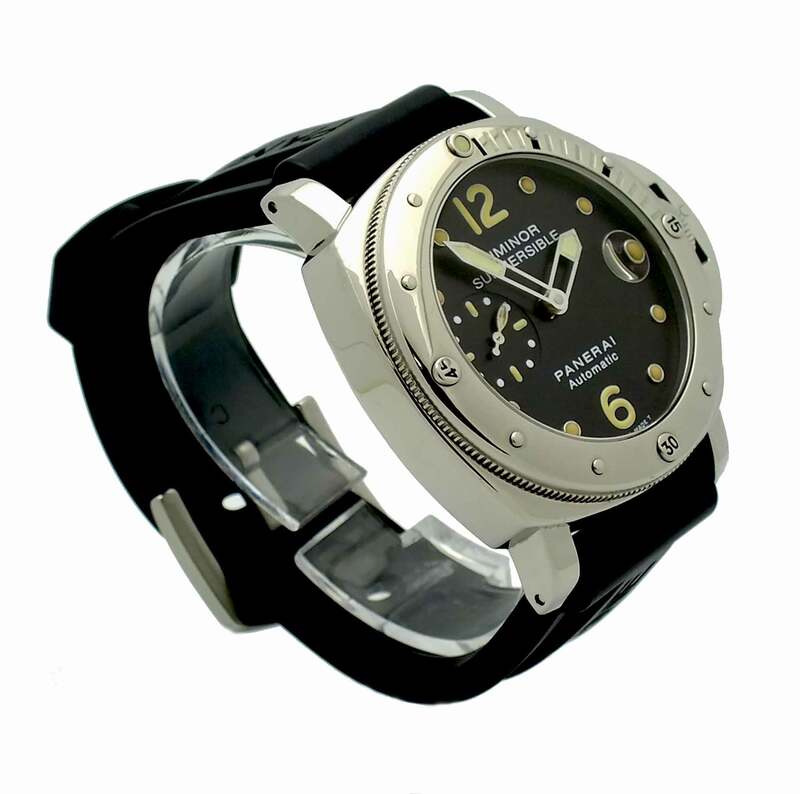 Black rubber strap. 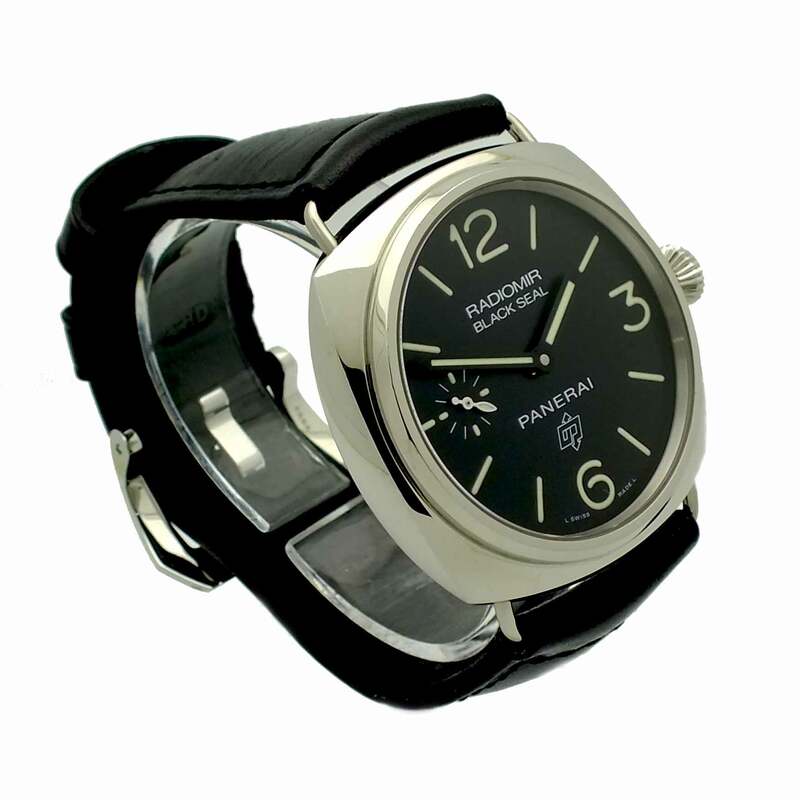 Panerai Luminor PAM000 in stainless steel. 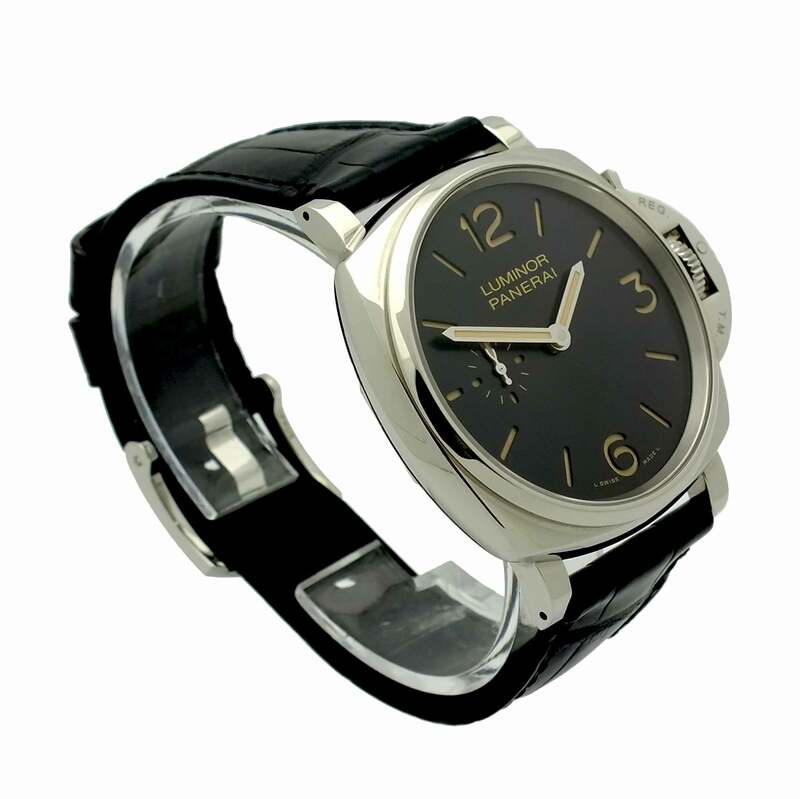 Black dial with stick and Arabic numeral hour markers. 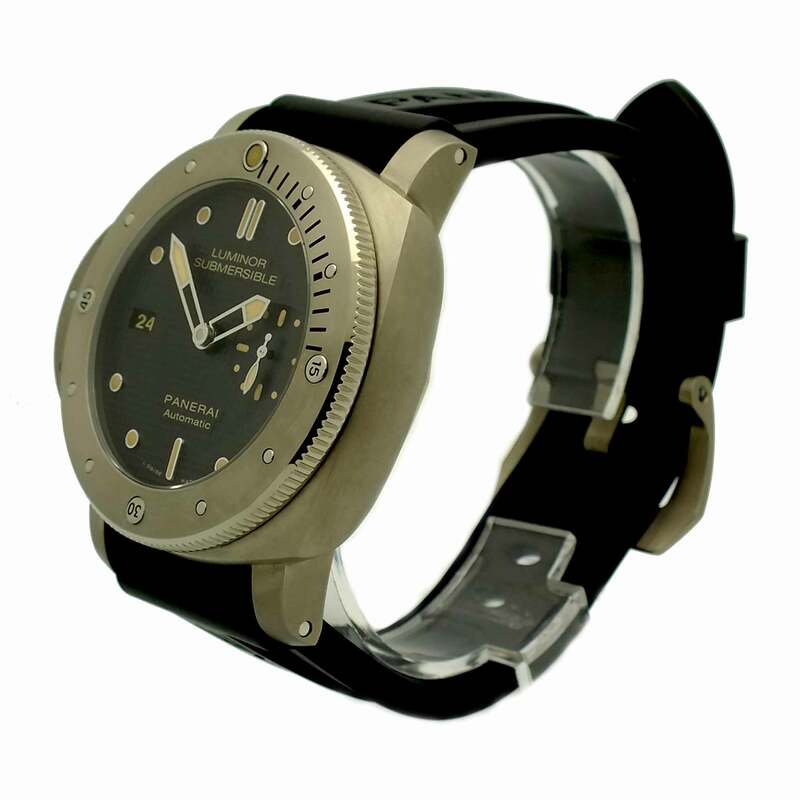 Black leather strap. 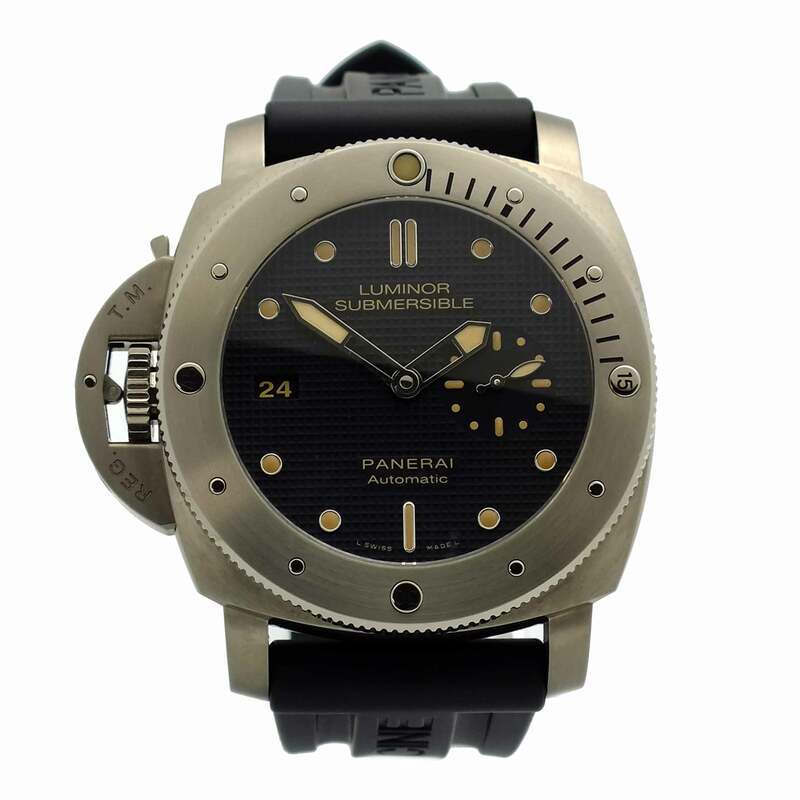 Panerai Luminor Submersible PAM24 in stainless steel. 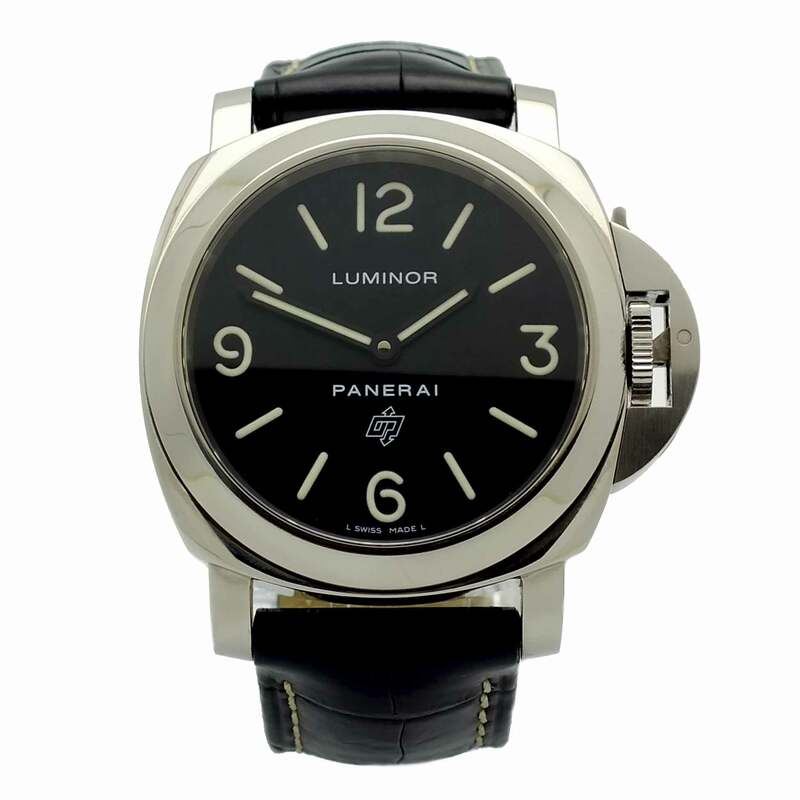 Black dial with luminescent dot and Arabic numeral hour markers. 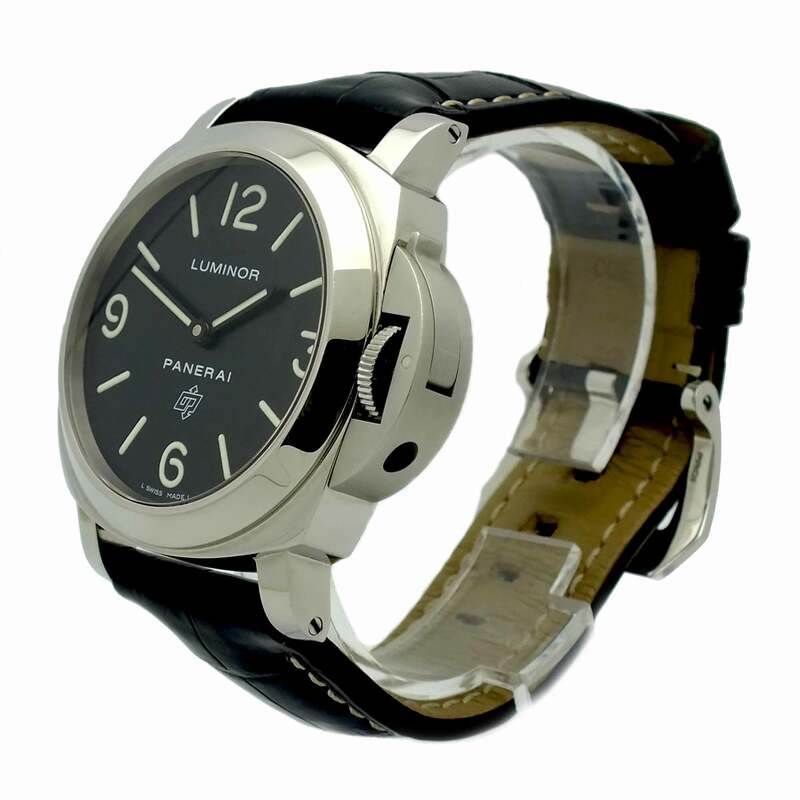 Black rubber strap.